Easter is just around the corner and I’ve already started warming up for our annual egg cracking contest. I’m going for gold this year! 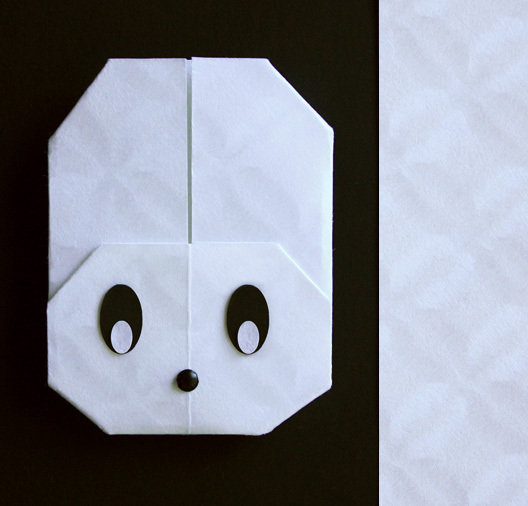 I’ve also started making little paper chicks and bunnies. They are so nice to give as Easter cards. Simply write your message on the inside and once unfolded your message will appear. Kids just love them especially alongside an Easter egg! We chose a black and white theme but colourful patterns work just as well. 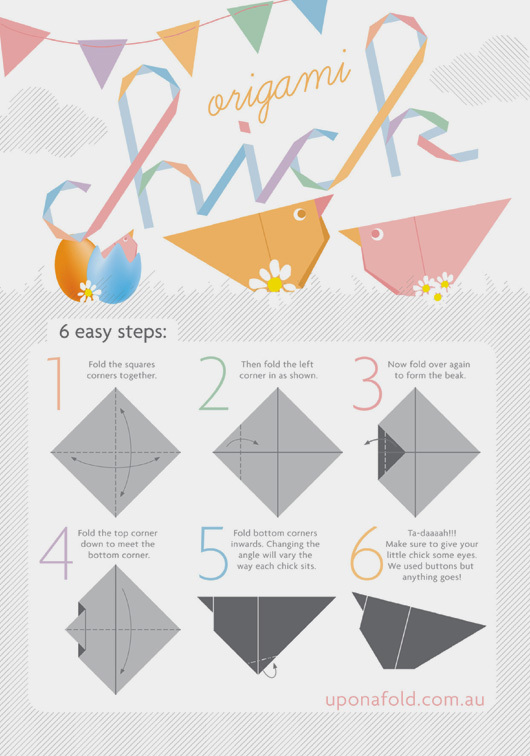 These chicks are so easy to make. 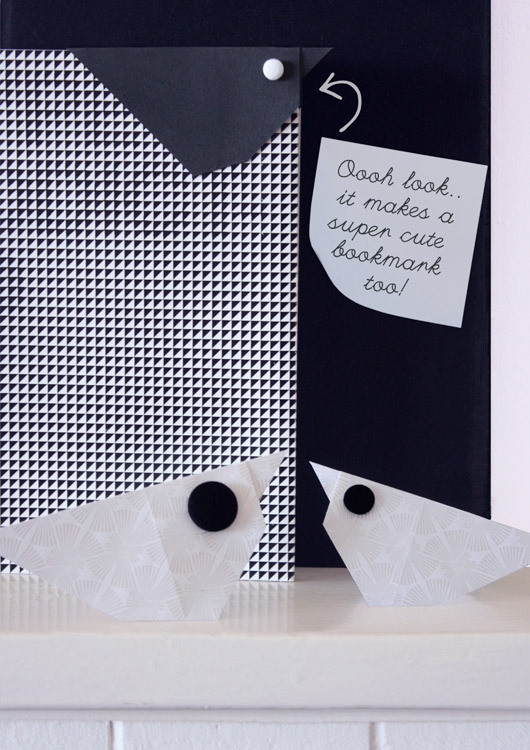 You can use buttons for eyes or cut paper is just as cute! 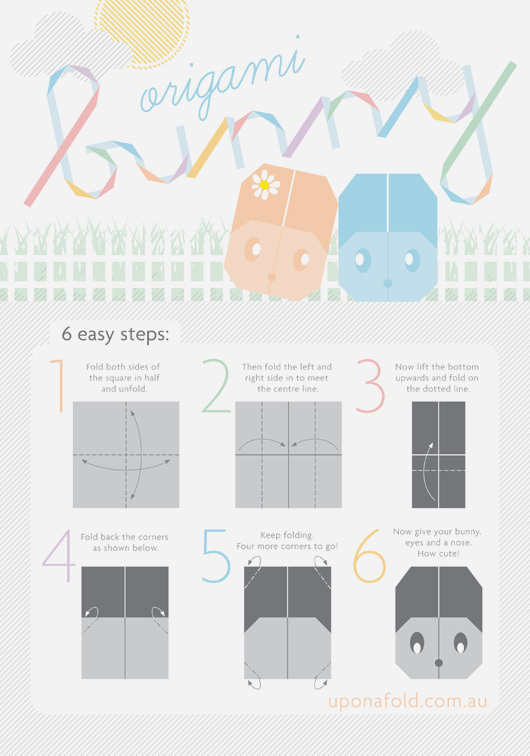 So, it’s Upon a Fold’s first Easter and to celebrate we have designed two easy instruction sheets for you to download and make your very own cute chicks and bunnies! 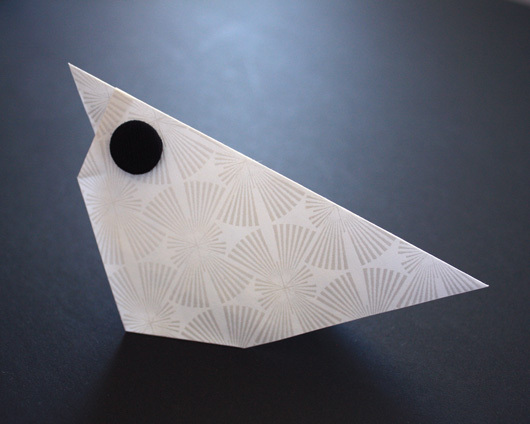 And as a little extra treat for our customers, we’ll be giving away 3 sheets (A5 size) of beautiful Japanese paper with every order placed before April 6, 2010! 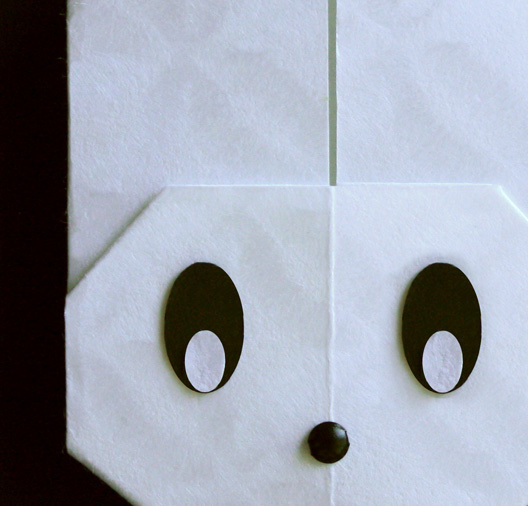 And if you would like to send an Easter postcard then hop over to the shop and take a look at this adorable little Ori-hagaki Rabbit from Japan (pictured above). Well, that’s all folks! 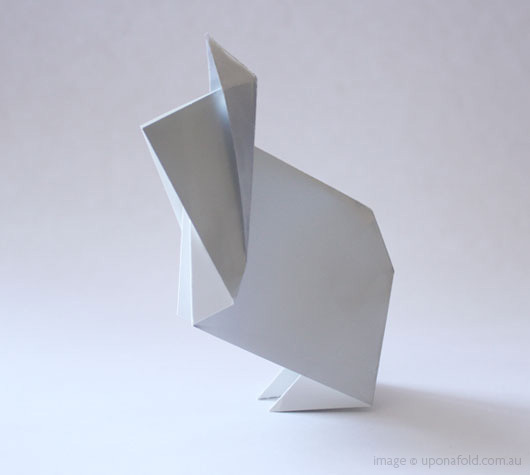 We hope you have fun making your very own chicks and bunnies. Have a happy Easter and a wonderful break!